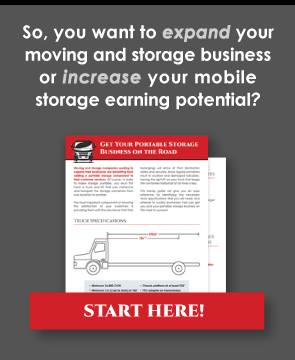 For decades, mobile storage units have provided practical solutions for residential storage, fire and restoration contractors, and remodeling contractors. However, regardless of the intended purposes for the container, the protection of the belongings contained in each unit is a top priority. Construction quality of your mobile storage container should be durable, no matter if it is for storing valuable equipment, documents, home furnishings, or any other purpose or combination thereof. Stick with companies that have a good reputation for strong, long-lasting products and professional customer service. Units should be impervious to the elements and perfectly watertight – whether new, refurbished, or retrofitted. The locking mechanisms of your units will be important to your customers. Ensure that these features are strong, secure, and well-made, as they are the tangible reflection of your customers’ protection against theft. Is ample lighting necessary, whether motion activated or fixed? Should or will your unit be fenced in? Who is responsible for access control? Your customers will independently load and lock their containers, which prevents anyone else from tampering with their belongings from initial loading to final unloading. However, your transportation and delivery methods are important factors regarding the safety of these contents. If items are damaged due to falling boxes or tipped containers during transit, your customer will not be happy. No-tilt horizontal lifts keep the contents of the container from shifting or falling during pick-up, transport, and delivery. No matter how your customers decide to utilize your mobile storage solutions, security and safety are essential to consider to protect impact your investment in container selection.